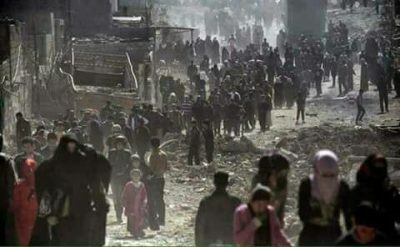 In less than a year, the US-led siege in Mosul has not only resulted to a horrendous shedding of blood and countless of properties transformed into rubble; more than the physical damages are the psychological effects it has wrought in the lives of those who survived the US-led bombings. Question is, what did they gain from this brutish destruction? After Mosul has been raped and destroyed, is it qualifying to call it a “liberation”? Read our selection of articles below. In recent weeks, another major city in Iraq has officially been “liberated” (almost) from the militants of the Islamic State. However, the results of the U.S.-backed Iraqi military campaign to retake Mosul, that country’s second largest city, don’t fit any ordinary definition of triumph or victory.